Ian Marshall was born in 1933, and is a British visual artist. He has exhibited at a variety of galleries, notably the Institute of Contemporary Arts, London. 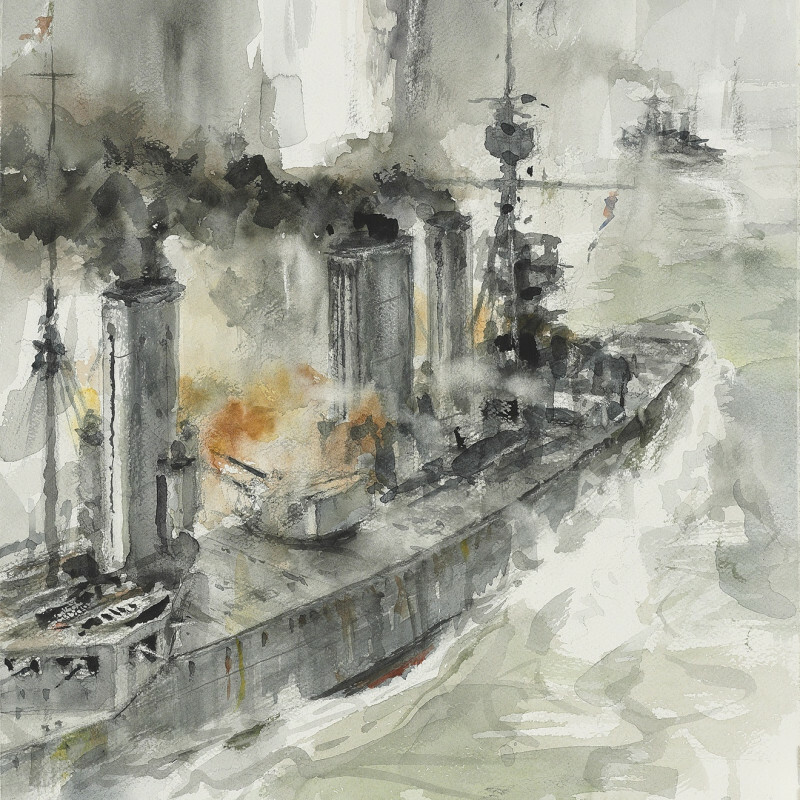 In 2008, his work ‘USS Iowa Chesapeake Bay, 1917’ sold at the Maritime Art Auction at Christie’s New York.